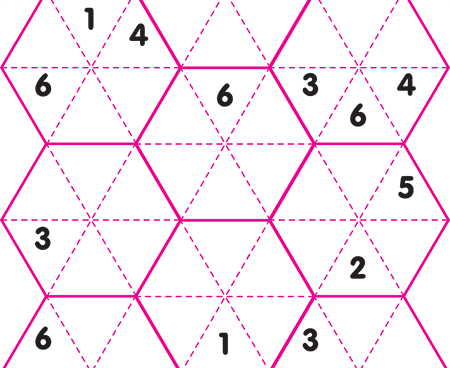 There's no adding-up required in the Hexoku puzzle. 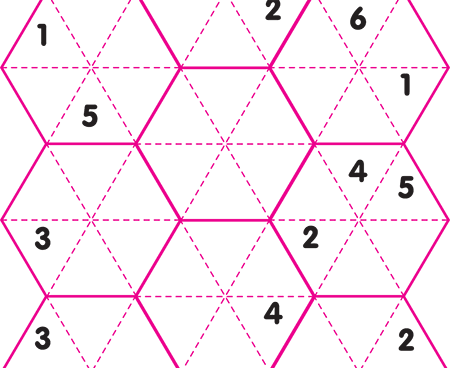 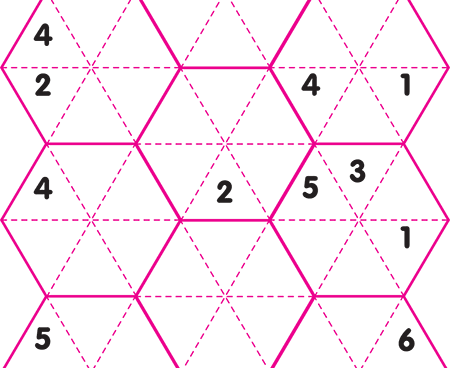 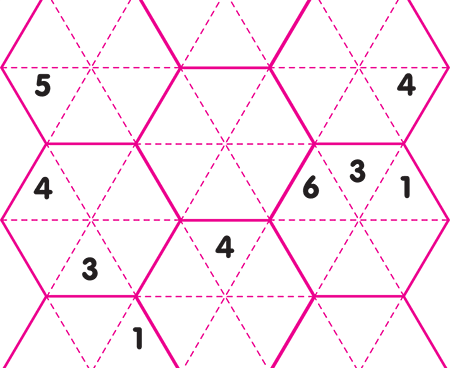 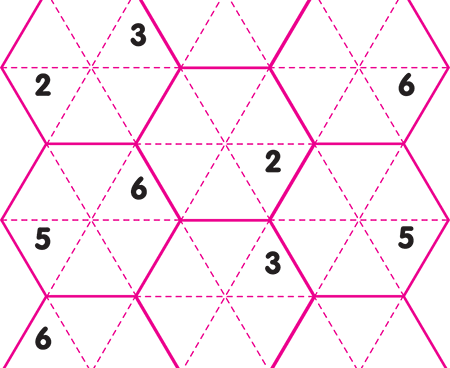 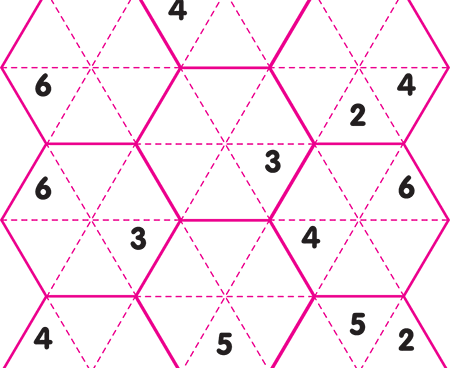 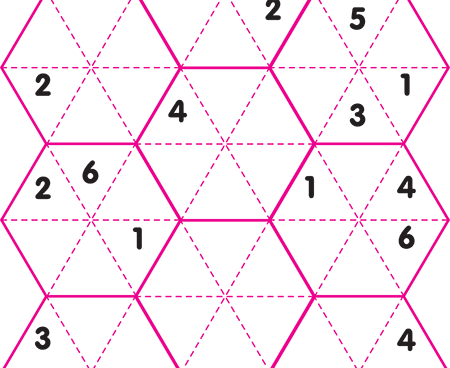 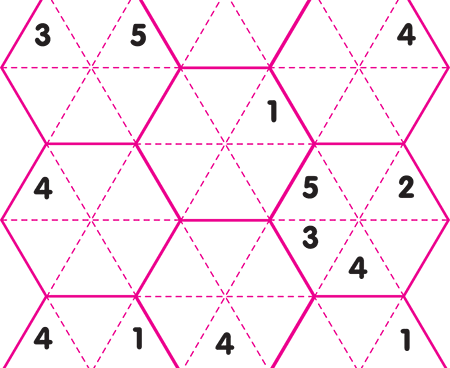 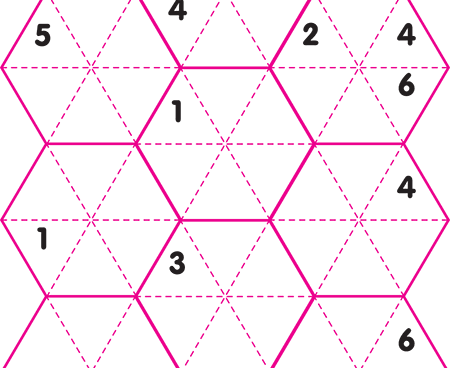 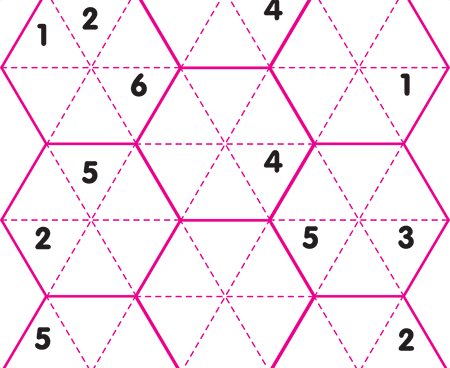 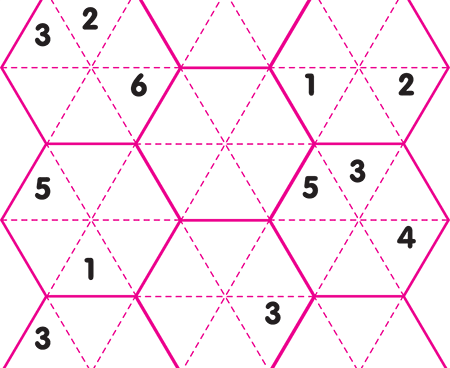 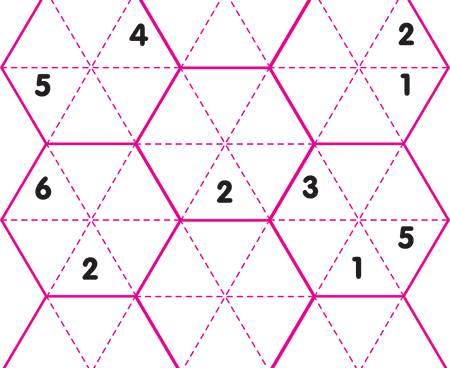 Using logic alone, fit the numbers 1-6, once only for each number, into the six cells of each hexagon – but where the hexagons touch, the numbers must be the same. 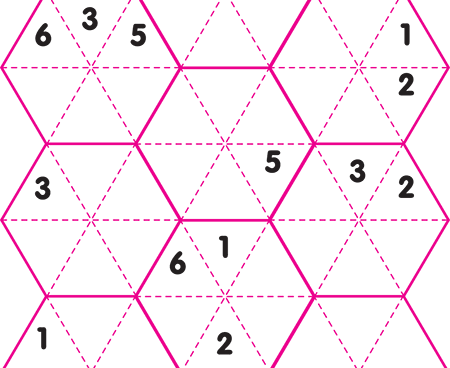 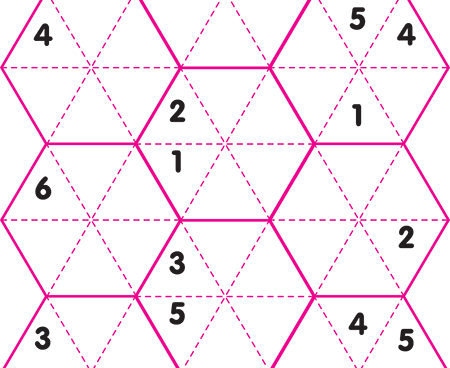 No number is repeated in any hexagon. 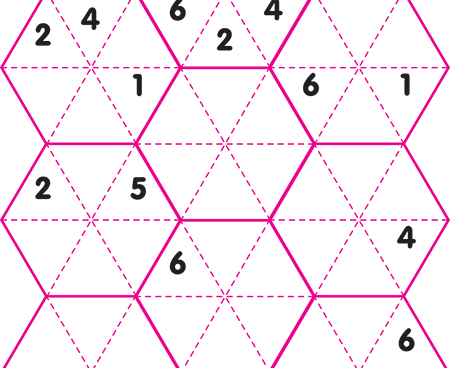 You may convert the colour eps to greyscale in order to print in black and white. 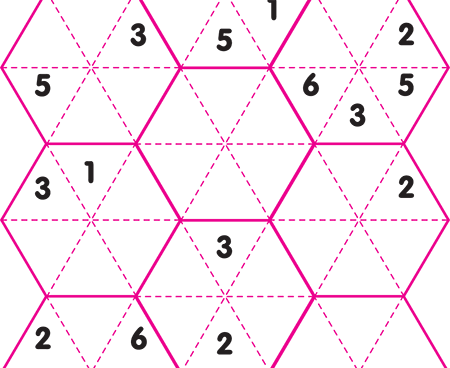 Colour is not required to solve the puzzle. 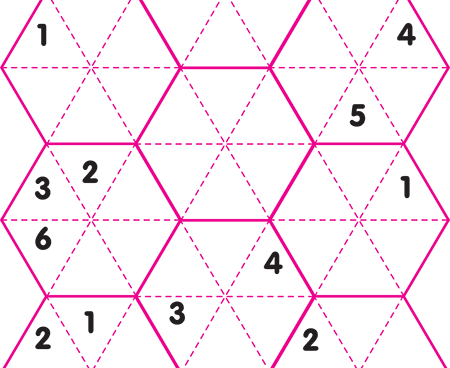 Portrait layout. 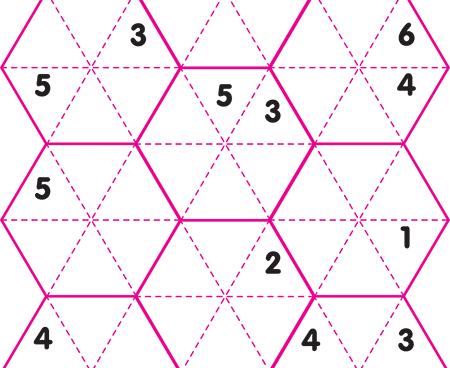 Fit the numbers 1 to 6 into each hexagon so that where the hexagons touch, the numbers are the same. 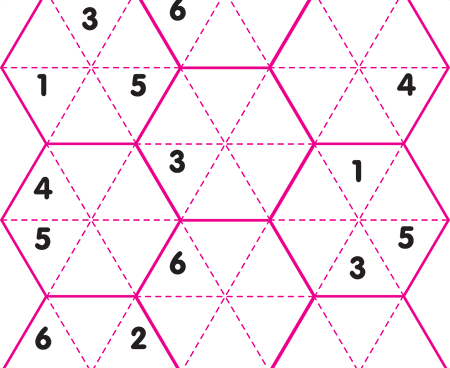 No number is repeated in any hexagon. 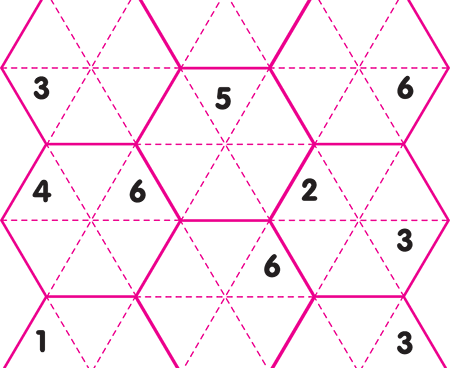 Portrait layout, colour (not essential), fill the numbers one to six into each hexagon.